© REUTERS/Jim Bourg Senator Lindsey Graham speaks as members of the Senate Judiciary Committee meet to vote on the nomination of judge Brett Kavanaugh. Republican U.S. 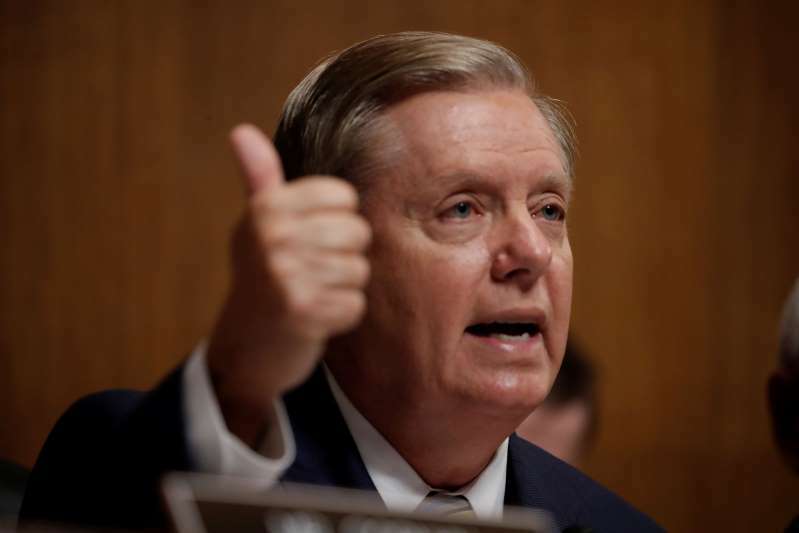 Senator Lindsey Graham, who has been sharply critical of Saudi Arabia after the disappearance of journalist Jamal Khashoggi, said on Friday he was highly skeptical of the Saudi explanation for Khashoggi's death. "To say that I am skeptical of the new Saudi narrative about Mr. Khashoggi is an understatement," Graham said on Twitter.